We strongly encourage all readers to steer clear of diamonds with a Clarity grade of SI3. The SI3 grade is used by lab entities that are not reliable—and you’ll likely get a diamond with less beauty and value than what you paid. We instead recommend looking for a diamond with a GIA or AGS certificate. For most diamonds, we suggest a VS1 orVS2 Clarity grade for excellent value. You can also find great SI1 or SI2 diamonds as long as you have high quality videos or photographs to inspect. At these levels, blemishes and inclusions can’t be seen with the naked eye, but cost far less than VVS, IF and FL diamonds. This VS2 Round Cut Diamond, for example, is beautiful and eye clean. Above all, ensure that your diamond is eye clean of blemishes and inclusions. Look closely at any diamond before making a purchase. To make it easier, choose a vendor with high-quality photography like James Allen or Blue Nile. If you have questions or want assistance in searching for a truly stunning diamond, contact our experts. You may come across SI3 diamonds in your search for the perfect stone. While a diamond with an SI3 Clarity grading can seem like a good deal, that’s almost never the case. The SI3 grade is meant to help differentiate the better I1 diamonds from other diamonds with slightly more inclusions (i.e. the worse I1 diamonds). The grade was created by EGL lab in the 1990’s. On the EGL scale, SI3 Clarity sits between the I1 and SI2 grades. 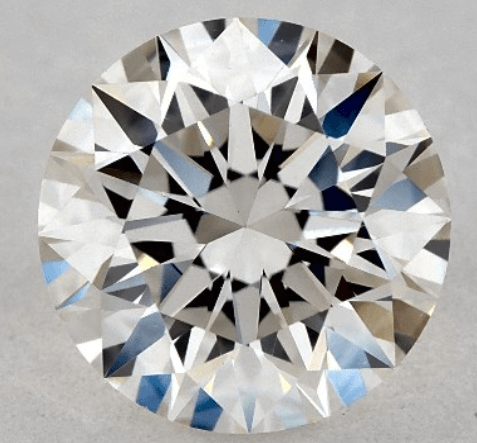 The idea behind this additional grade is that there are some I1 Clarity diamonds that, despite their low clarity grade, are still beautiful diamonds. While this is true, it doesn’t mean a new Clarity grade is necessary. Additionally, the only grading companies that use SI3 are the ones that are not reliable or reputable, like EGL. The EGL has a bad reputation when it comes to quality claims, which can mislead customers to buying diamonds that aren’t as beautiful or valuable as they report. Even if there are some “nice I1s” that warrant a special designation, you won’t find it with an EGL certificate. If a diamond carries an SI3 grade, it’s of lower quality than the “nice I1s” from GIA. The SI3 grade is primarily used to trick potential buyers into a diamond that is less than stellar. For example, if you were to bring an EGL-graded SI3 diamond to GIA, the diamond would probably be graded worse by the GIA. Reputable labs like GIA and AGS don’t recognize the SI3 grade, and neither should the consumer. Many consumers believe that any diamond graded lower than SI (Small Inclusions) is undesirable. For instance, I1 and I2 diamonds often have noticeable inclusions and are not eye clean—making them less than stellar choices. By giving a diamond an SI3 grade, it’s a step above an I1, making the diamond seem more appealing to customers. The SI3 grading, however, distorts the line between I1 diamonds and SI2 diamonds. With an SI3 diamond, a jeweler can make an inferior I1 (Included) diamond seem like an SI (Slightly Included) diamond. 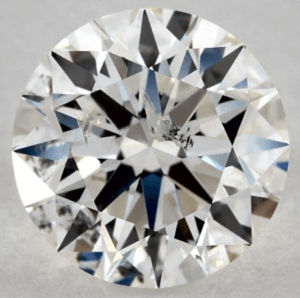 A weakly graded EGL diamond—like one with an SI3 grade—can confuse a customer. It gets them interested in an less than desirable diamond. Rather than choosing a stunning diamond within your price range, you’re paying for something that’s falsely advertised. 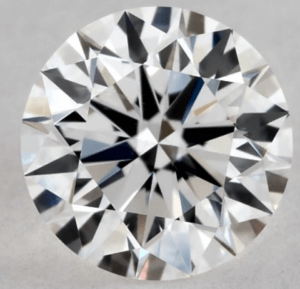 Jewelers utilize the SI3 Clarity grade to sell more diamonds, even if the customer doesn’t get the actual beauty and value of what they’re paying for. That’s why we encourage all readers to steer clear of SI3 diamonds. We don’t want you to get tricked or scammed. If you have questions about Clarity grade or diamond quality, feel free to reach out to our experts. We’ll start by saying that you should only look for diamonds that are certified by either the GIA or AGS. These two labs are the most reliable and respected entities in the diamond world. By choosing a diamond with one of these certificates, you ensure you’re getting the quality that the report claims. For Clarity, we generally recommend looking for a VS1 to SI2 diamonds. VS1 and VS2 diamonds usually appear eye clean, meaning no blemishes or inclusions can be seen by the naked eye. SI1 and SI2 diamonds can be eye-clean as well but need closer inspection. While the higher grades, like VVS1 and VVS2, may seem better, a VVS1 diamond will probably look just as eye clean as a VS1 diamond. For example, this stunning VS2 diamond appears clean to the naked eye and costs $3,229 per carat. This beautiful VVS2 diamond also looks clean to the naked eye, but costs $5,278 per carat. With all other traits being similar, you’ll save plenty of money by choosing a Very Slightly Included (VS1 or VS2) diamond instead of a Very Very Slightly Included (VVS) diamond. In certain cases, there are I1 diamonds that are eye clean, or have blemishes that’ll be covered by a metal setting. For example, if a diamond has an inclusion near the perimeter, like in this I1 diamond, it can be set in a ring or necklace to mask the imperfection. I1 diamonds with minimal imperfections are rare though, so we suggest bumping up to an VS1 or VS2 grade. When it comes to evaluating a diamond for its Clarity, it’s best to review the diamond closely yourself. Purchasing a diamond online usually allows you to find the best deal. Choose an online vendor with high-quality photography, so you can see for yourself what the diamond truly looks like. Throughout our many years of experience, we’ve thoroughly vetted a number of diamond vendors. The recommended vendors below have provided thousands of our readers with beautiful, eye clean diamonds. James Allen offers the best online photography in the diamond industry, allowing you to look closely at each stone before purchase. They also provide appealing prices and high quality certification (GIA & AGS) on all diamonds. Blue Nile maintains the largest online inventory of diamonds and settings. They emphasize both diamond and jewelry quality. All diamonds come with high quality certification (GIA & AGS). Brian Gavin presents super-ideal cuts with the “Brian Gavin Signature” Hearts & Arrows collection. All diamonds come with high quality certification (GIA & AGS). We strongly suggest avoiding SI3 diamonds altogether. With an SI3 diamond, you’re paying far more than what you should for something that only appears better on paper. Choose a diamond with a GIA or AGS certificate, and look for diamonds in the Clarity in the range of VS1-VS2. If you have questions about finding a stunning diamond within your price range, please reach out to us and we’ll begin with your complimentary search.